Design complex installations, such as power, light, low-voltage, telecommunications, security, and antenna installations. The software contains several thousand symbols based on the latest electrical standards, as well as light fixtures, switchgears, and more. 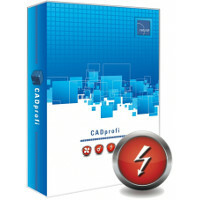 The application provides an easy means of drawing wiring and wiring ducts. Among its most handy features are the autonumbering (addressing) of electrical circuits, and a convenient blueprint and diagram editor. 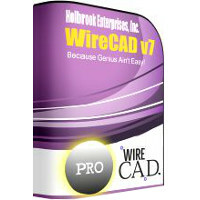 WireCAD PRO includes all of the tools to create new system designs. If you need to manage fiber consider the WireCAD ENT tools which includes all of these PRO tools. - Special Assurance member pricing for trainings and other select WireCAD products. - Assurance member renewal price lock.